Medical data is a valuable asset and any asset that has value can be considered a currency. People who generate data should own that currency and be able to share, sell, buy, or do whatever else they choose to do with it. At doc.ai we give our users full ownership and control over their medical data: they can easily control how, when, and with whom their data is shared. Buying and selling medical data is a multi-billion dollar industry. With the rise of awareness about the abuse of data management and the development of regulation addressing the issue like GDPR, California law, and the Oregon bill, the entire healthcare industry is now shifting its operations to comply and use people’s data with their full and explicit consent. Putting the regulation aside, we believe it’s simply the right thing to do. If you generate the data, you should own it. If it is valuable, you should get a share. After collecting and reclaiming your health data with doc.ai, the process of sharing it is transparent. 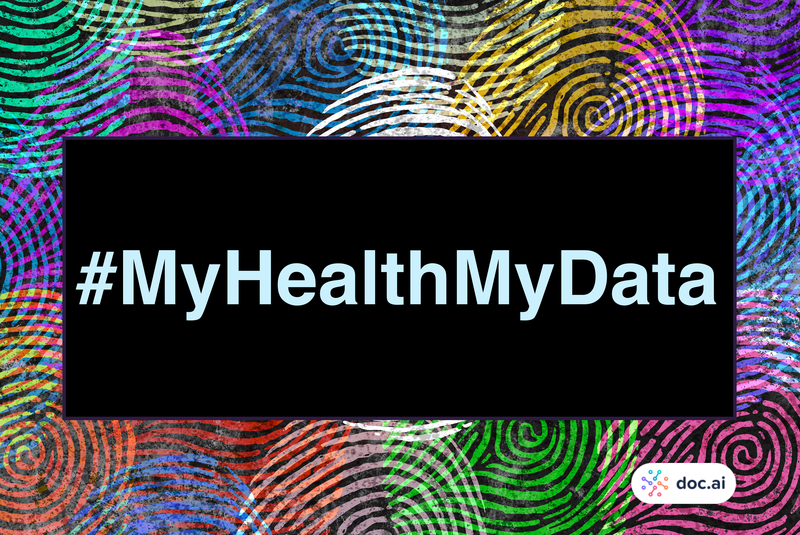 You consent and agree with the terms of the research and you know exactly when, why and for what medical research your data is shared. All research projects you share data for are described in detail in the doc.ai app. The mechanisms to understand and consent are simple. The research descriptions, as well as the objectives, are displayed in the app before you join the platform. Also, you have the option of sharing your data at any time and you can stop sharing or completely delete any of the data that you have shared at any time as well. Why Share and Who Has Access to Your Data? Medical research is expensive and slow. Medical data and people’s participation is key in any research project. The concept of connecting people, researchers, and companies to help accelerate medical research in an engaging framework that respects people’s ownership of their data and rewards them with their fair share has been the core value of our team from day one. Users opt-in to share specific data with the doc.ai platform on a specific research project. The platform enables people to participate in medical research by sharing their real-world data to accelerate research through the application of AI technology. This enables researchers to build predictive models using the data they have shared for research to be turned into actionable knowledge to benefit humanity. It’s important to note that the shared data can only be used for the project a user agreed to join and help. Once the predictive models have been built for that specific research, all the data is wiped from the kernel where the models are built, and only the models remain to be shared back with the participants and published by the research team. A principal investigator, or a PI, is the person in charge of the research and together with a small team of dedicated, verified and validated scientists they must adhere to strict and specific terms and conditions governed by the Institutional Review Board (IRB) protocol. The shared data is encrypted, de-identified, and secured with the best industry standard security. To also make it more auditable technologies such as smart contracts and blockchain are used when relevant. The doc.ai platform is also fully HIPAA compliant. In addition, doc.ai is working on making some of the inference on the device to prevent data from even leaving the device. What If doc.ai Changes Its Terms and Conditions? We will always notify you of a change in the policy. If the terms of the research protocol change, we would ask you for your consent again. doc.ai leverages several key technologies including blockchain and smart contracts so that users can readily access their data on their phone, and they decide if, when, why, and with whom their data is shared. What is the technology behind this? Many of the Computations take place on your phone and puts you in full control of your data. In our move towards on-device AI, security risks automatically decrease because the data stays on your phone. Likewise, we leverage blockchain technology and use smart contracts to make access more auditable. Most conversations about healthcare use cases for blockchain concern storage of data. However, storing data on a public blockchain comes at extreme costs that exceed those of other options like cloud storage on GCP or AWS. doc.ai does not dismiss this notion of blockchain-based, encrypted, data storage, and has partnered with Storj. However, we are also looking at using the blockchain to provide value to users and to customers in other ways. Because your health data is valuable and becomes a currency on doc.ai, you need the technology to treat this data as a valuable asset with the right control settings for exchange and transparency. When you participate in the research data trials on doc.ai, you get rewarded with points in your wallet and you can exchange these points on the doc.ai marketplace for Amazon gift cards. These transactions are designed to use smart contracts. The deployments of these contracts represent an audit log of sorts for events that take place within the scope of a data trial. Owning your valuable data and being able to share it securely for rewards and to help accelerate research are very important concepts that require the right mindset and the right technology. Doc.ai’s is investing significantly in the research and development of tools and technologies for on-device data collection and inference, as well as the future of on-device data computation. We hope this article is useful and explains how the platform guarantees ownership, control, privacy, and security. If you have questions, we are happy to provide more details – shoot us an email at info@doc.ai.